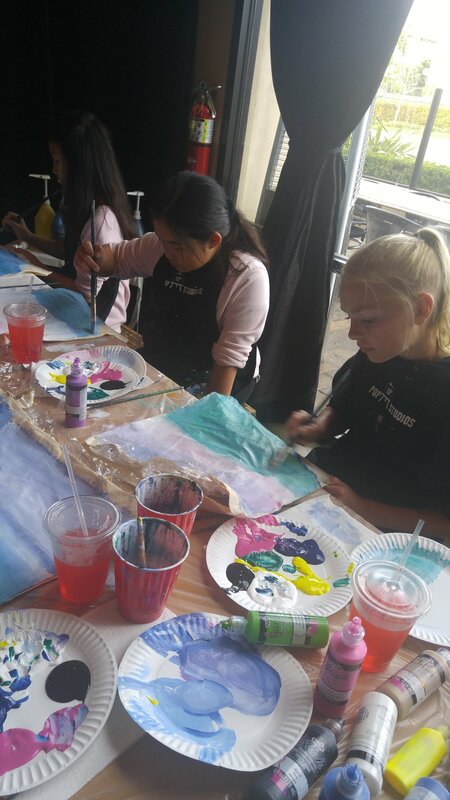 Today Pop Up Studios had a painting party @ Mama's on 39 in Huntington Beach for Chloe's 12th birthday. 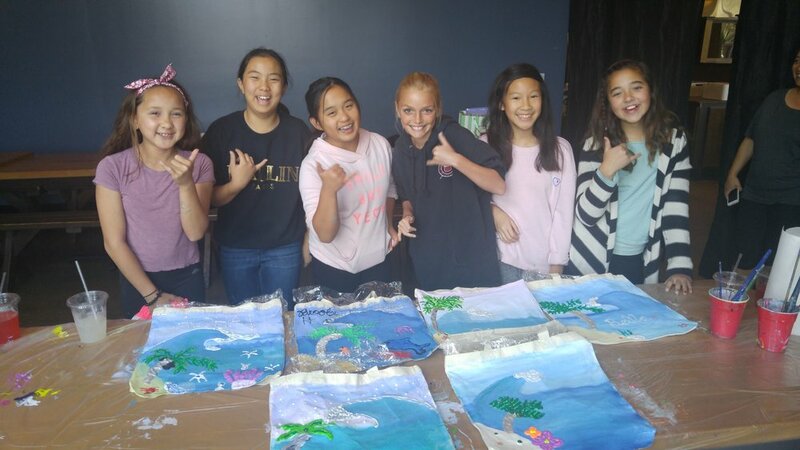 We all painted this awesome tote bags, with a really beautiful hawaiian landscape! 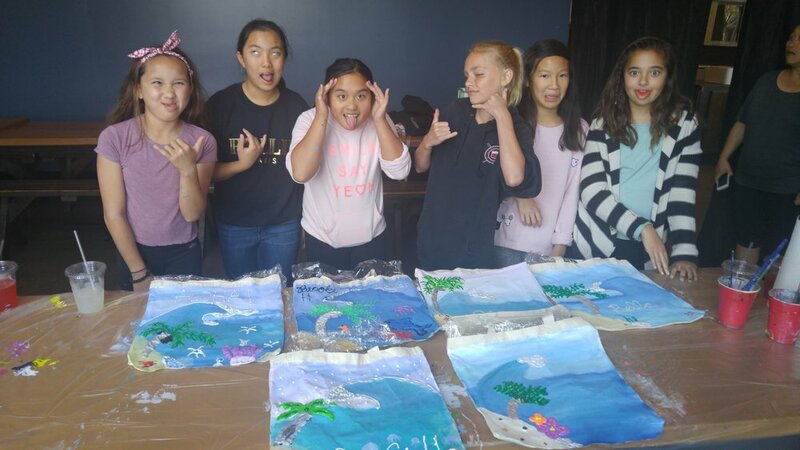 The girls got very creative and added jellyfish, dolphins, coral... they turned out awesome. 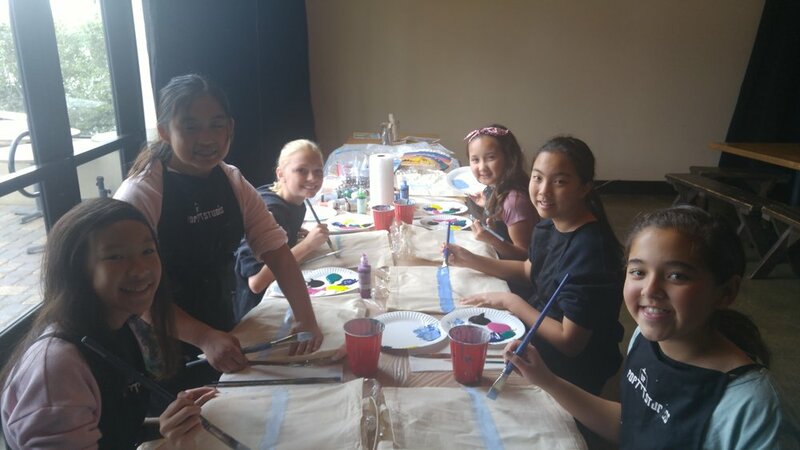 We also got to use puffy paint and gems on our tote bags, they all came out so great! 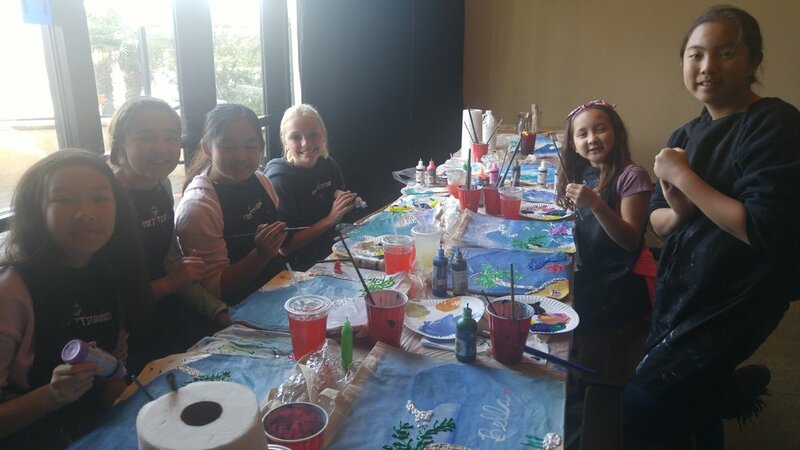 The girls had fun painting and drinking their fruit punch!!! 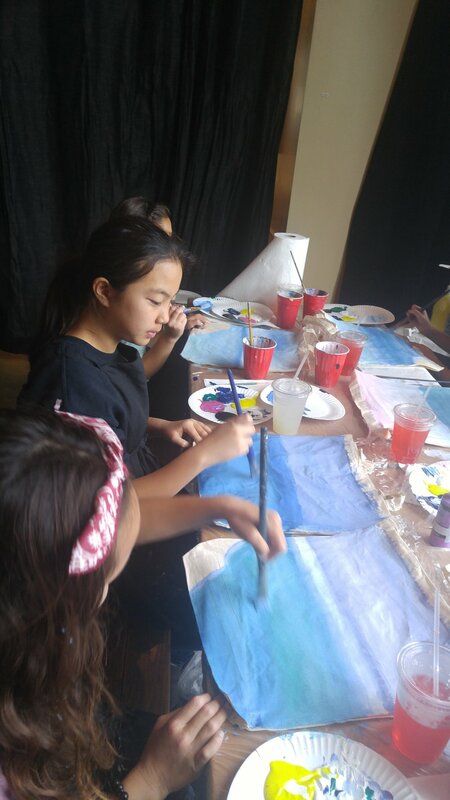 I can't wait to do more parties here it was such a wonderful afternoon.